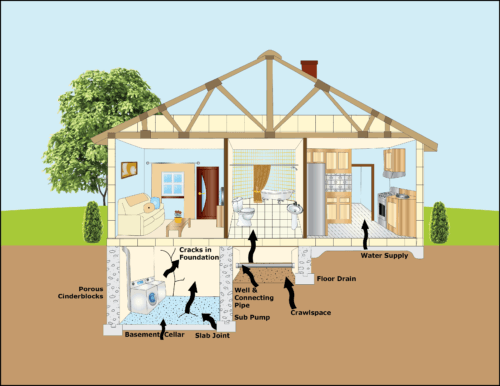 Do I need a radon test with my Home Inspection? Radon is thought to be the second leading cause of lung cancer in the US behind cigarette smoking. So, needless to say, knowing if you have a high concentration in your prospective house is important. The EPA recommends remediation of radon in any house with a reading of 4.0 pCi/L or above. Don’t be scared by the scientific notation. This is what we figure out for you when we test. Basically, a test is looking for a concentration of radon gas in the air inside the house that is above a certain level. For real estate sales, the EPA has developed a 48-hour test to get a snapshot of what the level is. 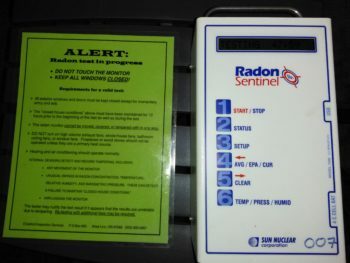 Where does radon come from and how does it get into my house? Radon gas comes from the natural decaying process of uranium rocks. As the rocks decay, harmful gas is produced, and as it escapes the earth, it can pass through your house. Is radon common in the Portland area? The number of houses with elevated readings in the Portland area is actually quite surprising. The main cause of radon is rocks that flowed through the Columbia River Valley during the Missoula floods roughly 15,000 years ago. You are most likely to find the harmful gas in areas of lower elevation and near rivers, but we routinely get elevated readings in other places as well. My neighbor’s house tested fine so do I still need to test? The concentration in a given house can only be determined by testing. The source of contamination can be very localized, and even if a nearby house tested low, you still might have a problem. We’ve even had instances where apartments that shared a common wall had a very wide variation in test results.